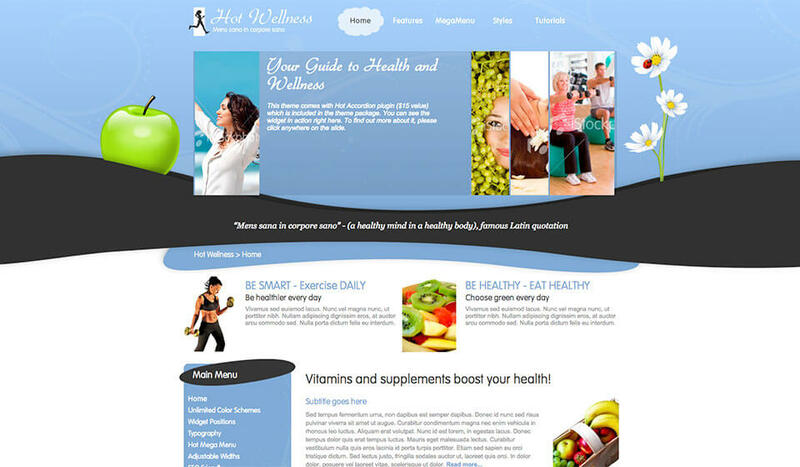 Wellness WordPress theme is designed to support the development of sites about healthy life, food, and lifestyle. It could be used for websites about medicine and alternative medicine. This theme is a good choice for massage studio and spa center websites. 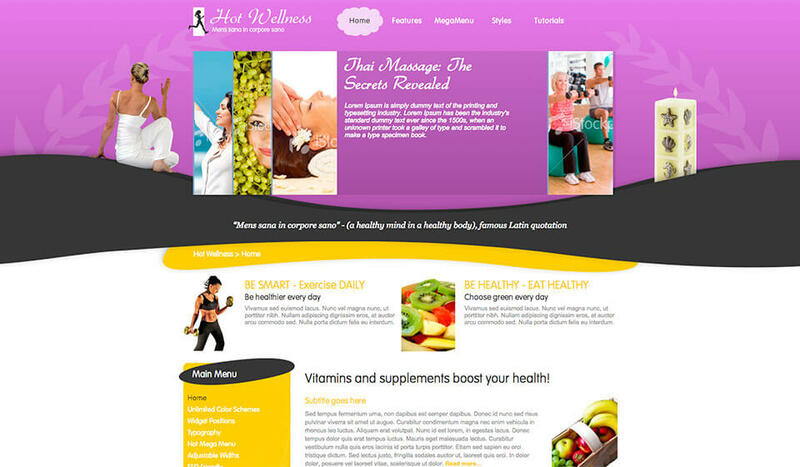 Wellness WordPress theme has 4 style variations with different colors and images. You have the ability to change almost every color (font and background) in the theme’s options. This is a vivid theme with living colors and without straight rigid lines. To develop such a theme, we used the latest web techniques such as CSS3 (rounded corners and dynamic gradients) and jQuery. The central place of the home page is reserved for Hot Accordion plugin (included with Wellness WordPress theme). You can use this plugin to put the most important or the latest information related to your business. The images of the green apple and the camomile tree can be replaced if necessary. Theme has table-less code, no inline styles, 100% CSS based, validates with XHTML 1.0 transitional standards. Widths of the left and right column and the main body are flexible. In the theme’s options, you can select widths of each column, as well as the overall theme’s width. There are 3 different styles for the left and the right column widgets. 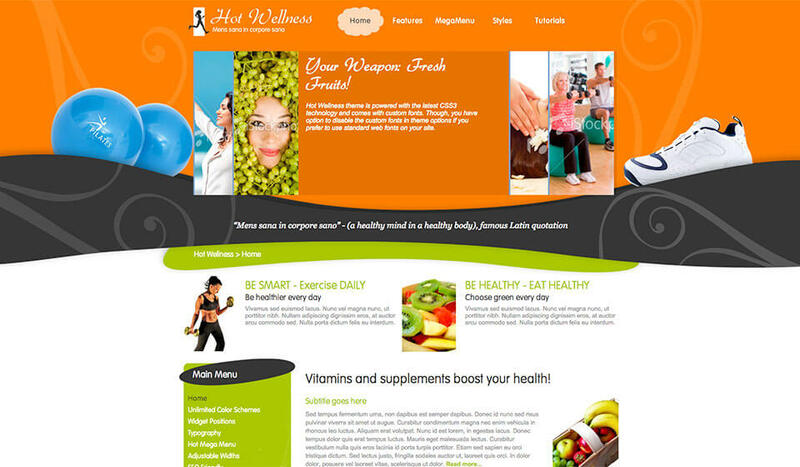 Hot Mega Menu and classic drop-down menu systems are built-in the Wellness WordPress theme. 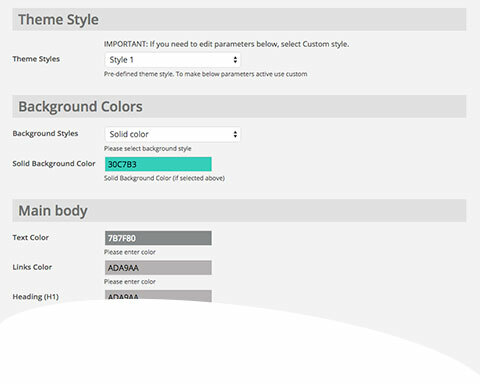 You can select between custom and web-safe fonts in the theme options. 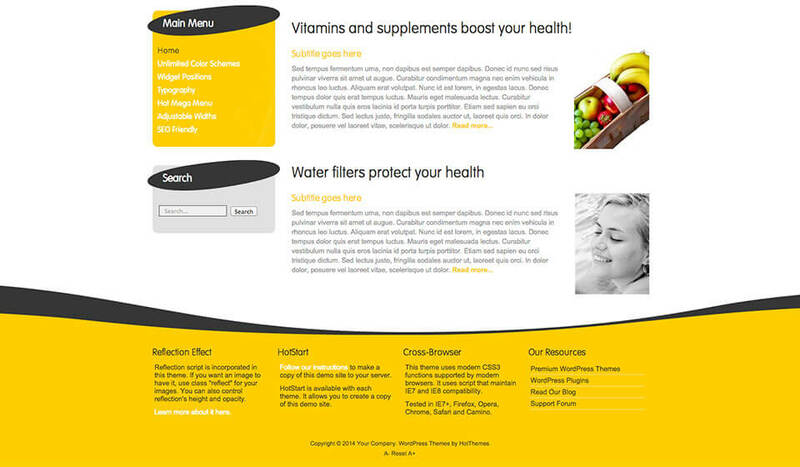 Wellness is CSS3 powered – rounded edges and dynamic gradients are compatible with all browsers (including IE7+). 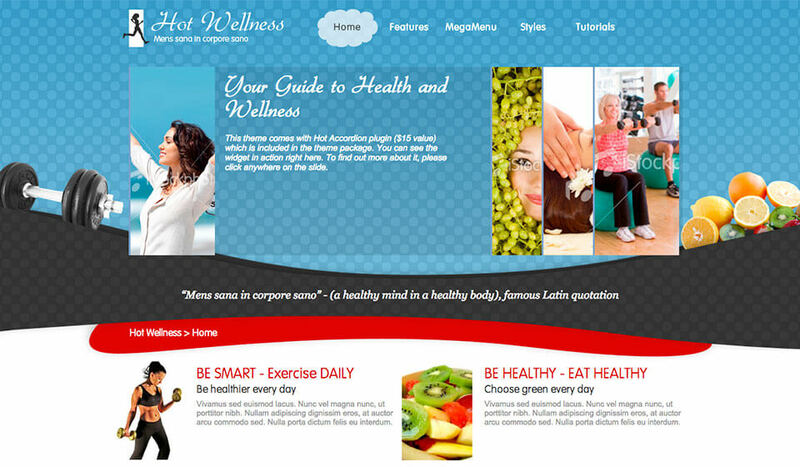 Reflection script and Font Resize script (based on jQuery) are incorporated in the Hot Wellness.